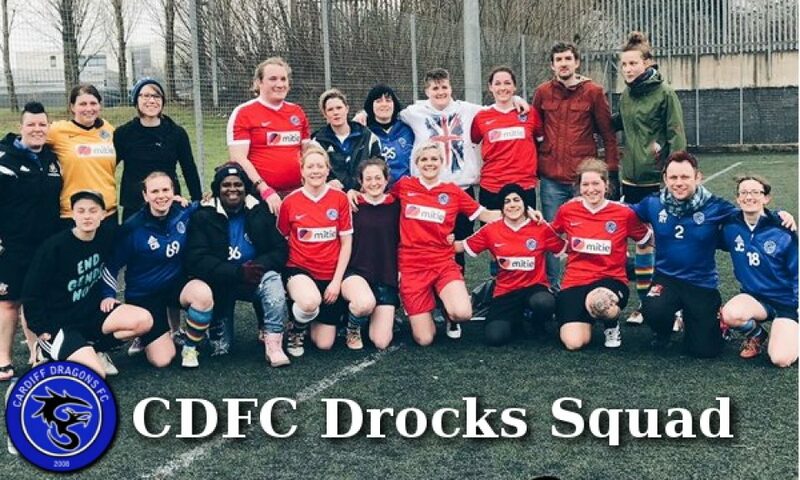 Dragons Women and Rock Solid have formed Dragons Rock this season to make an historic day for the Dragons, as our first all-female team to compete in regular competition ventured into the Bristol Women’s League. And don’t let the scoreline deceive you—this was a fantastic effort with no replacements available against a large and talented Bristolian squad. Indeed, a number of the Shorthorns goals came on the break as Dragons Rock pressed, dominating possession for a long period of the second half, some fine goalkeeping and sheer bad luck denying KP on several occasions. The tireless, never-say-die attitude, the team spirit, some lovely passages of passing and pieces of skill, Ruth’s goal-poaching, the performance of Eliza between the posts and Laia who played through a painful injury to earn the Dragon of the Day accolade—all these were memorable aspects that will have filled the substantial and (sometimes painfully) vocal group of Dragons supporters with pride and hope for the season ahead. Well done to everyone involved, including manager Ryan, as Dragons Rock look forward to rocking Bristol in the weeks and months to come. Dragons Rock: Eliza, Zoe, Megan H, Bethan, KP (C), Laia, Ruth.